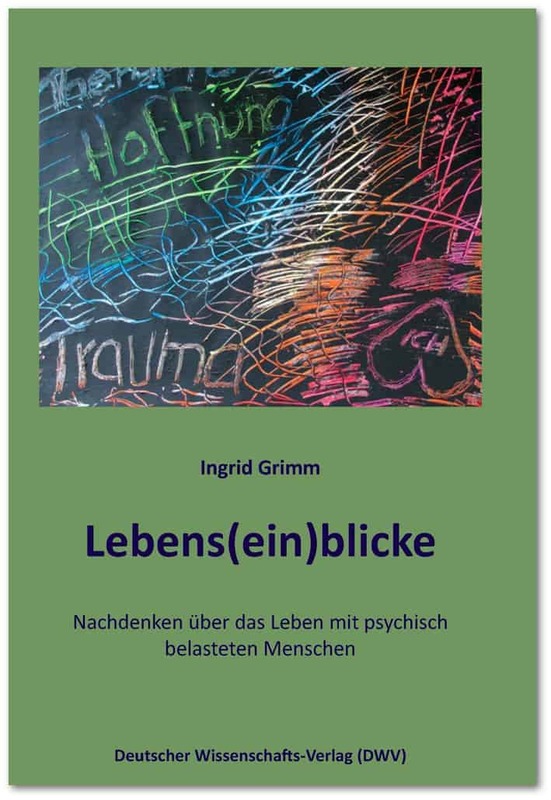 Im Zeitraum von 2012–2013 wurden die vorliegenden Interviews mit psychisch belasteten Menschen von der Autorin und Psychologin Ingrid Grimm geführt (Studium Psychologie, Soziologie, TU Dresden – Abendstudium Malerei und Grafik, Kunsthochschule Dresden). How it is and how it could be – the life. Ten psychically affected women and men answered to identical questions with a lot of courage and frankness. The ten participants were found, captivated by the questions and won in the years 2012 and 2013 through the „Psychosozialen Trägerverein Sachsen e.V. (Psycho-Sociological Association of Saxony)“ and the „Sozialpsychiatrischen Dienst (Socio-Psychiatric Office)“ in Dresden. The participants are from there in caring, but living in private responsibility. The individual interviews were recorded and edited authentically with changed names but actual age. The interview partners trustingly allowed us insights into their extraordinary life situations and their reactions to partners, relatives, and colleagues, They experienced love, understanding, and tolerance, but as well lack of understanding, fear and rejection. They more or less know about their various psychic diseases and in their minds‘ travels their attitudes toward life, their fears, their needs and their wishes are similar.